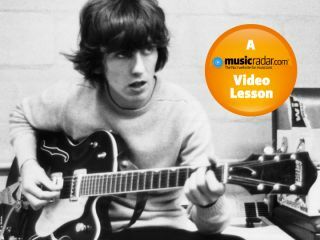 In this video lesson, Total Guitar's Richard Barrett shows you how to play like legendary Beatles guitarist George Harrison. George Harrison holds an honorary position as one of our Modern Masters. After all, he's from an earlier era than our other featured players, but no-one can dispute his enduring influence on modern players and public alike. In The Beatles' early days, George plugged a Gretsch or Rickenbacker into a Vox AC30, but subsequently used Fender Strats and Teles, and Gibson Les Pauls and SGs. He also played the sitar and many consider him responsible for introducing Indian culture to a generation of musicians. We've looked at two of George's most distinctive techniques. Clean arpeggiated chords are reminiscent of later Beatles recordings, but also a staple throughout his career. His melodic soloing style also comes into focus, showing harmonic knowledge way ahead of many of his peers. 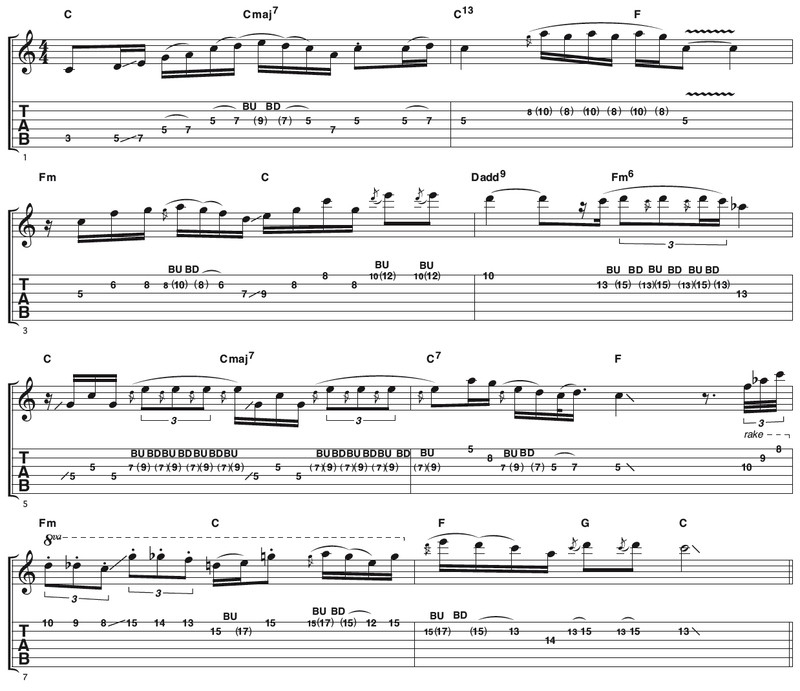 For the tone, use a fat bridge humbucker with some extra drive added for the solo. A touch of chorus will add depth. 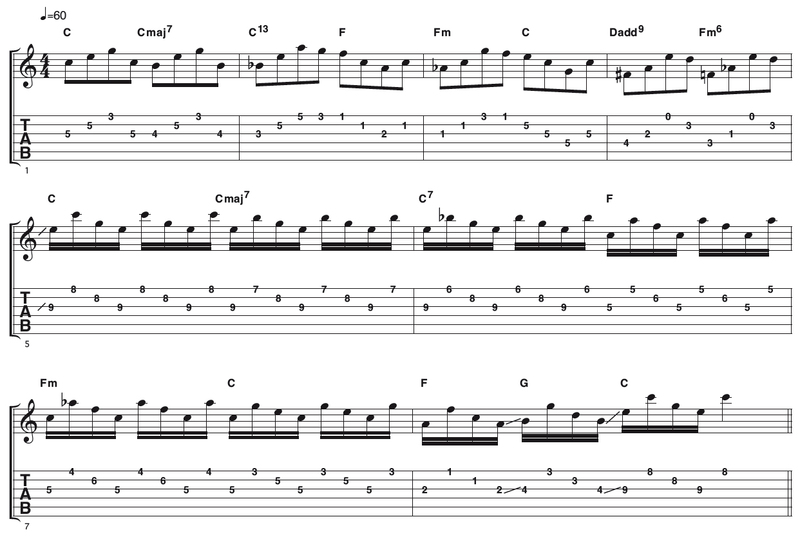 This arpeggiated chord progression follows a Beatles-tinged descending major/major 7/dominant 7 pattern. You'll hear this type of playing all over The Beatles' Abbey Road album. Evenness is paramount so try to use fingerings that require the least movement as you change chord. Here is a solo that typifies Harrison's melodic style. His relaxed string bending and controlled vibrato are most likely to be a challenge at first, though practising slowly will help. Try using a little compression to give you some extra sustain for that creamy Harrison sound.